The Shlagwerk U60 Bass Udu is made of ceramic and its construction method is modelled after traditional methods used by the East Nigerian Ibo tribe. 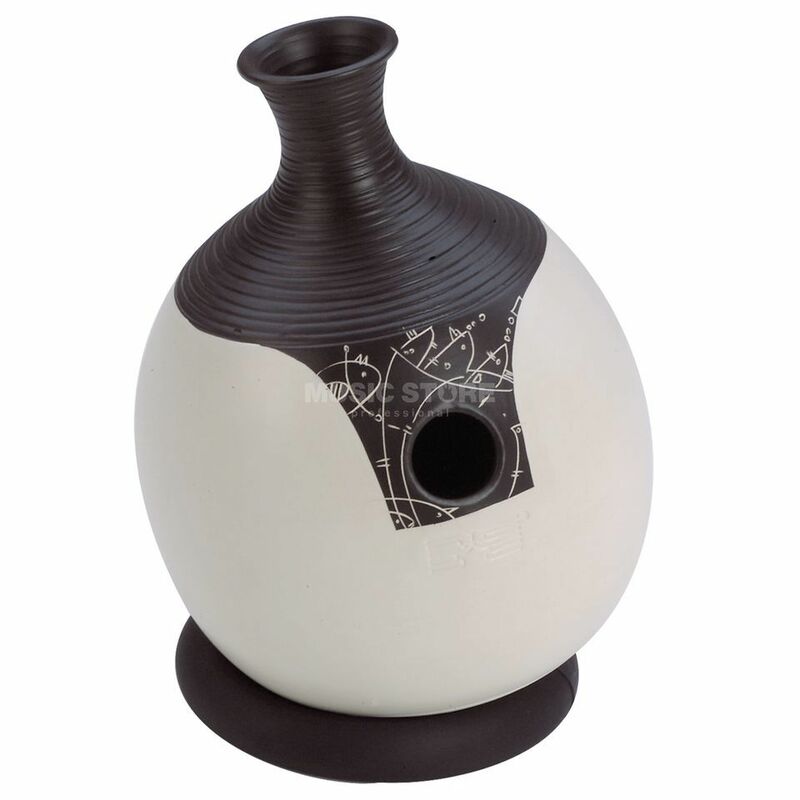 The larger body gives this Udu a more pronounced bass range. It includes a floor base/stand. This is a fantastic drum with many different sound possiblities. Striking the drum percussively produces a range of bell like sounds, while very deep, sonorous bass notes are produced using the openings on the drum. This udu, although ceramic, feels sturdy and is beautifully presented and looks nice just sitting in the lounge room. While I have a sneaking suspicion that the udus Schalgwerk produced a number of years ago sounded different (I have a basic Schlaterk udu where you can get a kind of tabla sound strking near the side opening), the sounds are this are fantastic and perhaps more African. Lastly, I live outside the EU and was really impressed by the service of the Music Store and the care they took packing this for me (the udu was placed in a well packed box and then placed in another sturdy box with more packing). Highly recommended.